This seminar has been identified by hundreds of professionals as life changing, essential and exhilarating. Join Dr. Eric Gentry, a recognised leader in the area of compassion fatigue, and learn resiliency and prevention skills drawn from the Accelerated Recovery Program for Compassion Fatigue and Burnout. Learn practical self-regulation skills that are critical to your being maximally effective with your clients and improving treatment outcomes. This seminar recording has been identified by hundreds of professionals as life changing, essential and exhilarating. 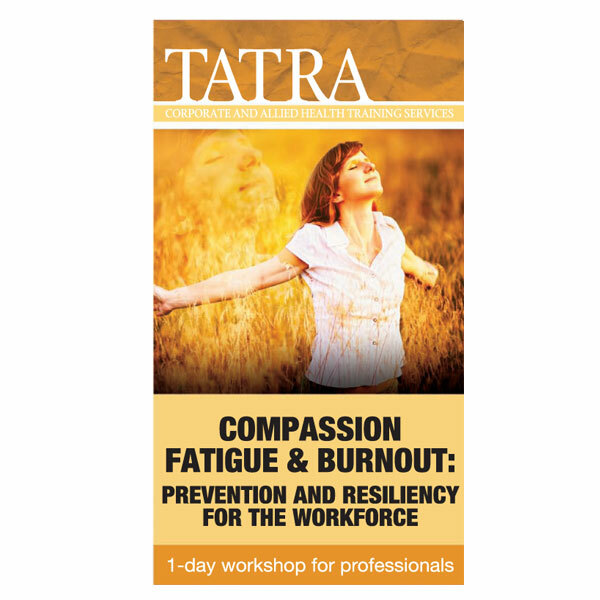 Join Dr. Eric Gentry, a recognised leader in the area of compassion fatigue, and learn resiliency and prevention skills drawn from the Accelerated Recovery Program for Compassion Fatigue and Burnout. Learn practical self-regulation skills that are critical to your being maximally effective with your clients and improving treatment outcomes. If you could not attend this workshop, watch this DVD to learn powerful tools (the anti-bodies) that are critical for professional resiliency and integrate them into your practice immediately. Additionally, you will learn the techniques to teach and help your clients improve their lives. This training integrates the latest research and practice wisdom to help you reclaim the satisfaction, hope and inspiration of professional care giving. It is tailored for social workers, psychologists, nurses, counsellors, general practitioners, lawyers, housing and employment officers, youth workers, residential care workers, community and youth workers and other such professionals.